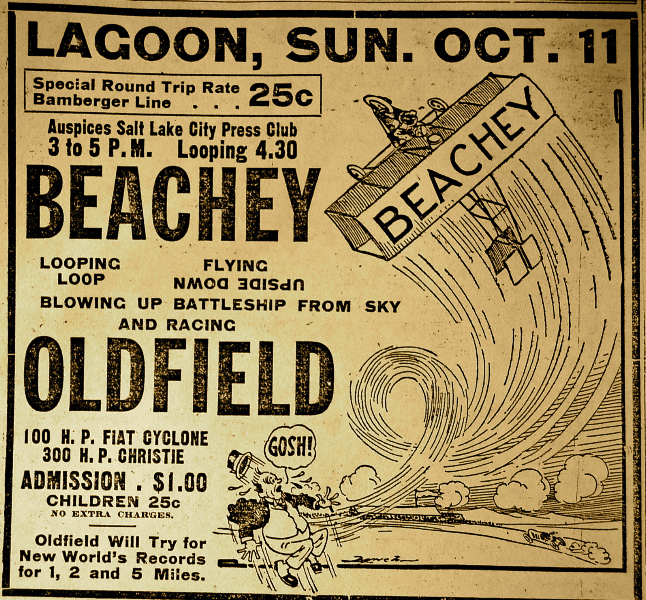 November 24, 2013: Update: Oldfield versus Beachey in Los Angeles in 1914. The above artwork was developed from this photo. 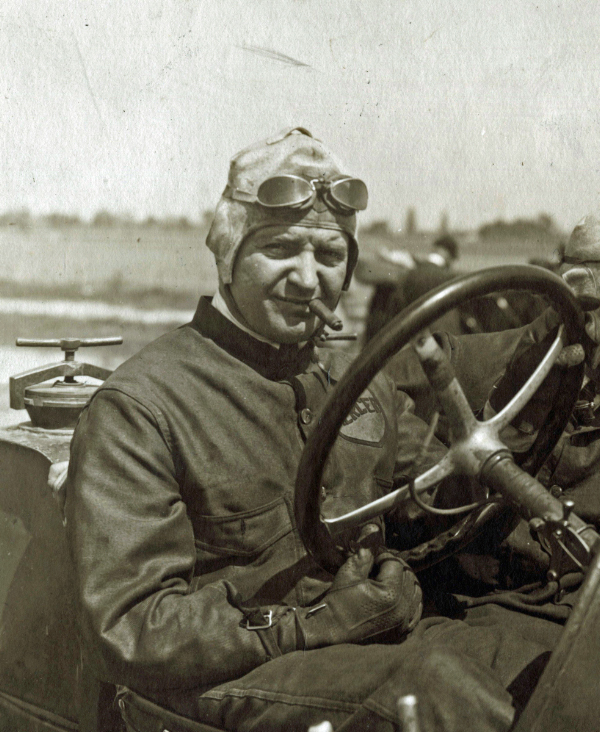 In 1914 Will Pickens promoted a series of cross-country racing duels between the legendary driver Barney Oldfield and 26-year old Lincoln Beachey, the most daring stunt pilot and the "world's greatest aviator" of his day. 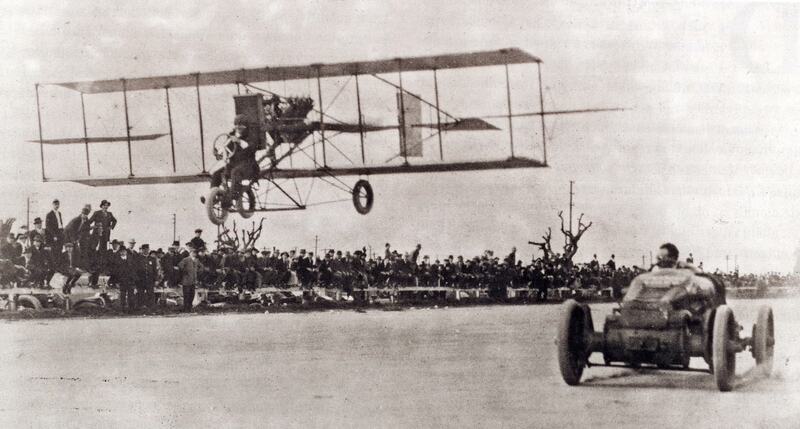 This ad and the above photo are from Frank Marrero's book "Lincoln Beachey, The Man Who Owned the Sky." 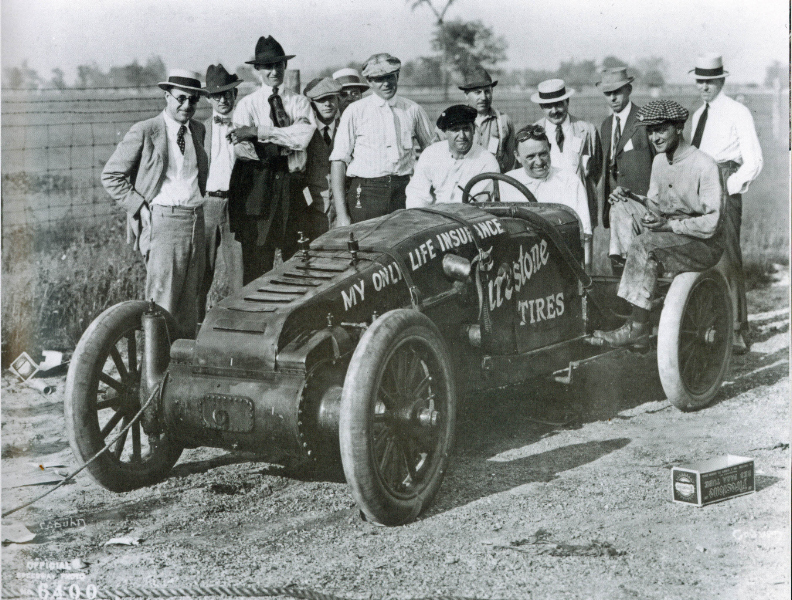 In the above photo, Oldfield raced Beachey in a Christie racer. 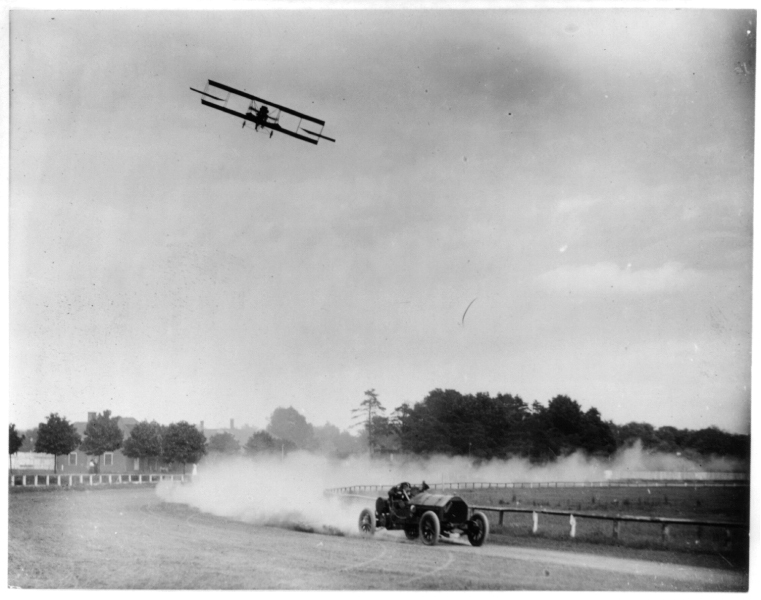 This Library of Congress photo shows Oldfield in a Fiat racing Beachey at another track. I can still recall when I was child that my father would always yell at people who sped by his car: "Who do you think you are? Barney Oldfield?" Tom, I found the above photo which was used to create this piece of art. MASCDS (Chowder) until his demise about 20 years ago. He was a tall, distinguished gentleman of the old school, sadly missed.